Super Jock n Jill has a long and rich history in the run specialty industry. The Seattle-based store originally opened in November 1975 by Laurel James, a single mother of five boys. One of Laurel’s sons, Chet James, began managing the store in 1981 and later purchased the business, with his wife, Judy Albrecht, in 1997. For the past 41 years, Super Jock n Jill has been regarded as a trusted resource in the Pacific Northwest for running and walking shoes, athletic apparel, and top-notch customer service. Chet opened the store’s second location in Redmond, WA in the fall of 2014. Super Jock n Jill has a history that runs deeper than selling shoes and apparel. 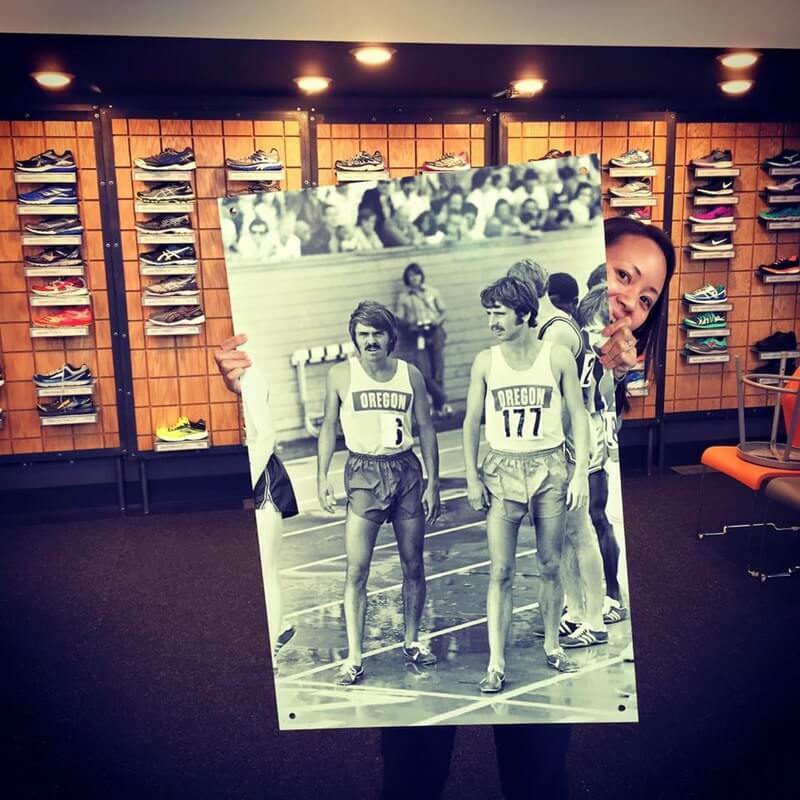 The late running legend, Steve Prefontaine, stayed at the James household on several occasions while traveling to Seattle. Pre’s close friend and college teammate was the James’ boys cross country coach, Pat Tyson. Pat and Pre would talk at local school assemblies and run with the school cross country teams. The James family became good friends with Pre and would run with him and Pat Tyson while he visited. Laurel James fostered these relationships and opened the store just after Pre’s passing in 1975. From the day the store opened, it was seen as a gathering place for runners traveling from all across the nation.